Note: This portion has some plot spoilers, one pretty major spoiler. So reader beware! 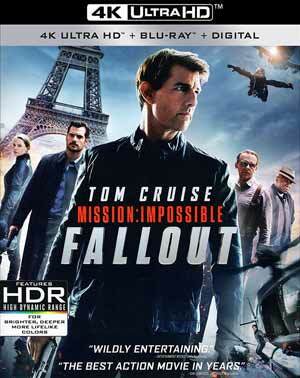 This latest Mission finds Ethan Hunt (TOM CRUISE) and his team, which includes Luther Stickell (VING RHAMES) and Benji Dunn (SIMON PEGG), being joined by CIA operative August Walker (HENRY CAVILL), thrust upon them by the CIA director (ANGELA BASSETT), with the task to recover three plutonium cores which Ethan had let out of his grasp after an operation went wrong and got into the hands of the Apostles, which are the remnants of the Syndicate which Hunt had shut down following the capture of Solomon Lane (SEAN HARRIS) in Rogue Nation. Hunt and Walker are sent to Paris to a party where an elusive, and faceless, terrorist known only as John Lark is to attend a party and meet a broker, The White Widow (VANESSA KIRBY), who can get him the plutonium cores which he will make nuclear weapons out of them to detonate around the world. Upon their arrival, the man whom it was thought was Lark, was instead a decoy, amazing fight ensues and the decoy is eventually killed by Hunt’s old friend, Ilsa Frost (REBECCA FERGUSON), who is attendance on her own assignment. Hunt, as he tends to do, goes in as Lark and meets the White Widow. With Hunt and Walker now in, the White Widow reveals it’s not a simple brokerage for the plutonium cores and instead, in order to get them, Hunt, Walker and the Widow’s goons must break Lane out during a transport from one interrogation to another with each government wanting their point of flesh for his horrific crimes. Obviously this takes things to another, far more dangerous level with forces from all sides, making this mission far more difficult. I won’t delve any further into the plot as not to spoil a twist or two, though one is telegraphed about well less than halfway through, but needless to say, the second and third acts of Fallout are absolutely fantastic. What I think I really enjoyed about Fallout, beyond the incredible action set pieces and stunts (many of which Cruise performed himself), was the team dynamic. 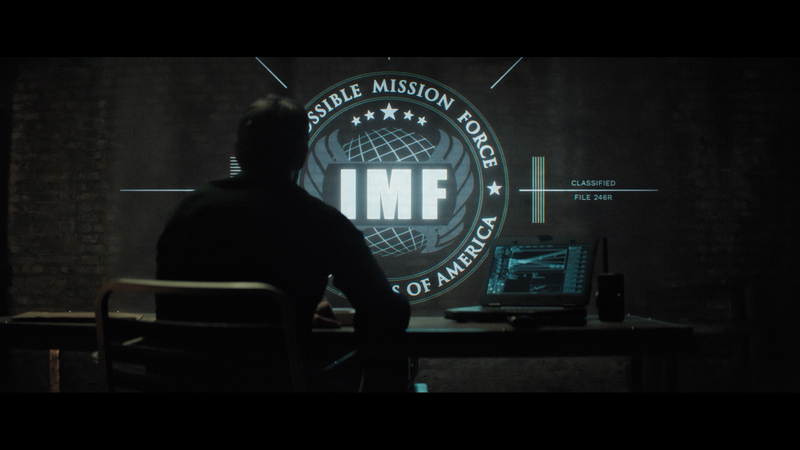 While I did like the assembled IMF team in Ghost Protocol and do in some respects miss Jeremy Renner’s presence (depending on which story, either scheduling conflicts or that McQuarrie wanted his character killed in the opening, precluded him from appearing), this one especially during the finale I felt was the best yet, and Rebecca Ferguson’s Frost hopefully will return in the next installment (and personally, if it were the last, bring back the other surviving IMF members). 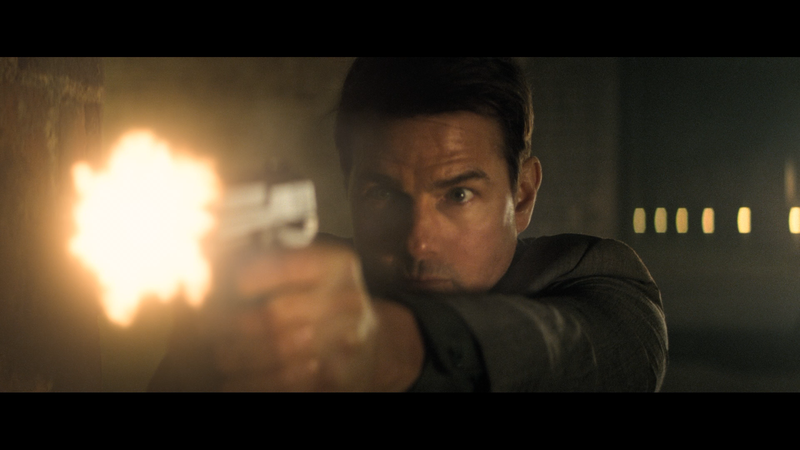 In terms of the cast, Tom Cruise once again is in his element as Ethan Hunt and we do get a smidge of the character’s darker side before his moral compass takes over, killing only when necessary; Ving Rhames is a lot of fun in the only other original member in the franchise; Simon Pegg made his mark in a great way in Mission: Impossible III and now the character is a full-fledged IMF field member and Rebecca Ferguson, who served more as an obstacle to the crew, does later fit in so well with the others; and lastly Henry Cavill was pretty good, a different role from his part in Man from U.N.C.L.E. yet still had some (dark) charm. Meanwhile, Sean Harris makes the most of his limited time but is still scary. 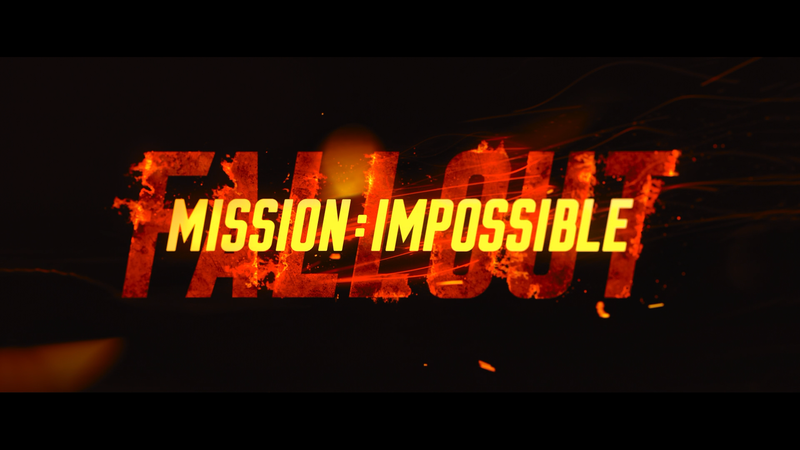 Mission: Impossible – Fallout was written and directed by Christopher McQuarrie marking his second film in the series, the first time a director returned to helm, probably due to his and Cruise’s friendship that saw the two also collaborate on Jack Reacher (writer/director), Valkyrie (writer), Edge of Tomorrow (writer), The Mummy 2017 (writer), Jack Reacher: Never Go Back (producer), and the upcoming Top Gun: Maverick (writer). Although his directorial resume is limited with Fallout only being his fourth film, appears to be one hell of a director after making a splash in Hollywood with his tight screenplay for The Usual Suspects which garnered him an Academy Award. This release comes with a glossy slip cover and inside is a redemption code for the Digital HD copy. All features are presented in HD. Sad as it may be, you really don’t find many commentaries on new releases (plenty it seems on catalog titles from Shout and Arrow) but here we get three wonderful tracks, probably the McQuarrie/Cruise one being the most entertaining both in providing information on the production and some more technical aspects while the second with McQuarrie/Hamilton is probably strictly technical while Balfe’s for any score buff will find informative. Behind the Fallout (53:32) is a 7-part making-of set of featurettes — ‘Light the Fuse’, ‘Top of the World’, ‘The Big Swing: Deleted Scene Breakdown’, ‘Rendezvous in Paris’, ‘The Fall’, ‘The Hunt is On’ and ‘Cliffside Clash’ — delving into the production from how the skydiving and cliffhanger sequences were filmed. These are quite detailed and probably the most fascinating was the skydive featurette which went into the training and breaking down the logistics. Deleted Scenes Montage (3:41) is a collection of scenes set against the Fallout score. So you don’t get any dialogue unfortunately. Comes with an optional commentary with McQuarrie and Hamilton on why these were removed. Foot Chase Musical Breakdown (4:50) – Composer Lorne Balfe voices over the chase sequences and his proves of doing the music. The Ultimate Mission (2:51) – This is a short overview of the movie with some behind-the-scenes footage and going into the various filming locales. This is more or less a primer featurette. Storyboards are available for ‘Paris’, ‘What If?’, ‘London’ and ‘Helicopter’. 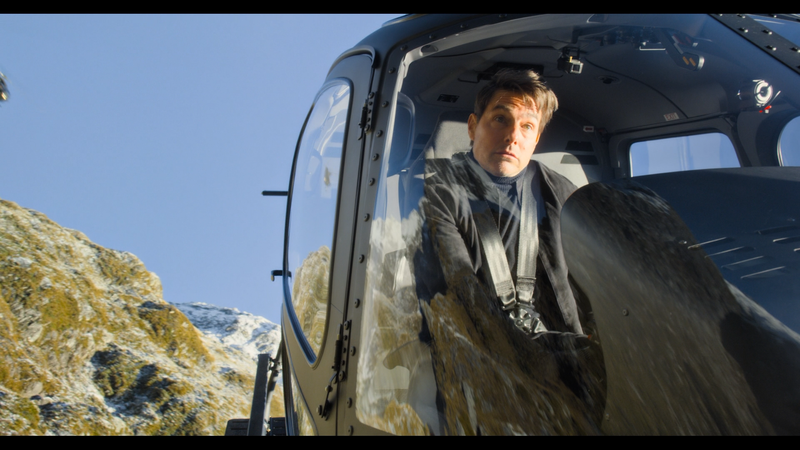 Mission: Impossible – Fallout is presented with a 2.38 widescreen aspect ratio (IMAX scenes in 1.90) and given a great looking 2160p high-definition transfer and a HEVC codec on the 4K UHD. While this is a rather dark looking movie, a bit darker than I remember from the theater but that could be my own memory faults, still has sharp and excellent, and incredible detail going down to the pores on the actor’s faces. There is also fine noise present throughout the film and colors, albeit muted in many regards, still had a well balanced brightness to them with some aid with the HDR. Doing a quick comparison with its 1080p Blu-ray counterpart, this one still looked fantastic in its own right, however I did notice a marked improvement on the 4K UHD transfer. Both the 4K UHD and Blu-ray discs come accompanied with strong and robust Dolby Atmos tracks. This is the kind of film that benefits from the (newish) Atmos audio codec with some amazing depth even in the few quiet scenes to the action sequences which absolutely take over the room with that added boost with the LFE, shaking and rattling the floor and walls. But even through the noise, dialogue is still discernible coming primarily via the center speaker with the front and rears producing good ambient noises, along with Lorne Balfe’s thrilling score. Overall, Mission: Impossible – Fallout is another rounding success in this long-running franchise and for actor Tom Cruise himself who continues to push it up a notch with the action sequences and stunts to go along with a strong enough story to carry it across the finish line. This 4K/Blu-ray release combo pack offers outstanding video/audio transfers and a fantastic set of bonus features.